Downtown Mesa is changing. A big reason for all the improvements is the construction of the Light Rail that currently takes you across the heart of Mesa from Country Club Avenue to Mesa Drive. My photography studio is half block from the Light Rail line. I have had a front row to witness many of the changes. 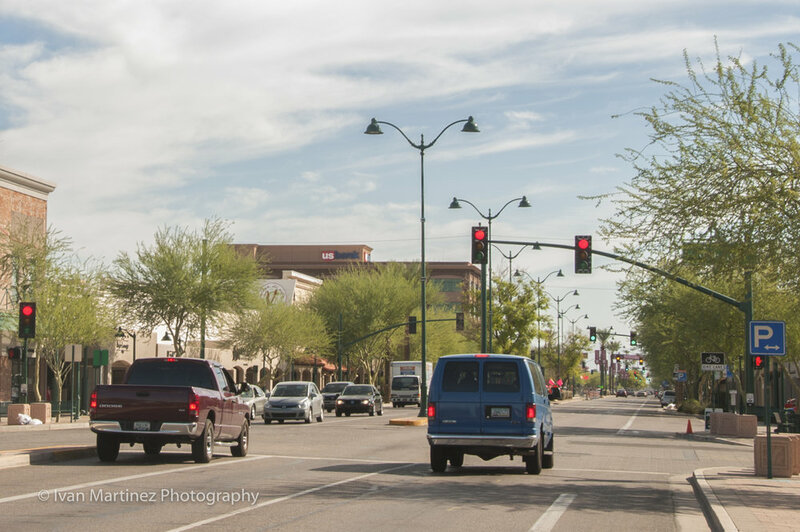 Because of my work with many local business, I have done a great deal of architectural photography around Downtown Mesa. I am always fascinated with the thought of looking at progress through images. These two images are about 5 years apart. The first image was taken on October 20, 2012 (before Light Rail). The second image was taken on January 6 of this year.